Although she’s made music since childhood — “I wrote my first song in 1976” — Honey never dreamed of making it a career. However, along the way, the down-to-earth artist has displayed extraordinary dedication to her craft. Francine’s debut self-produced album An Ordinary Woman came out in 2008 and was followed in 2014 by Re-Drawn, produced by Lang Bliss in Nashville. As a graduate of the Berklee College of Music Professional Singer-Songwriter Certificate Program, Francine regularly makes the nine-hour drive from Ontario, Canada, to song-writing workshops in Nashville, where she has been mentored by icons like Beth Nielsen Chapman (who contributes backup vocals to Honey’s Snowflakes On My Eyelashes), Mike Reid (I Can’t Make You Love Me), Mary Gauthier (Mercy Now), Verlon Thompson (Boats to Build), Gretchen Peters (Independence Day) and Jonatha Brooke (My Mother has 4 Noses). Francine is a member of the Songwriter’s Association of Canada (SAC), Nashville Songwriter’s Association International, Canadian Country Music Association and Americana Music Association. She co-ordinates the SAC’s Leamington/Windsor Regional Writer’s Group, mentoring other songwriters. She has showcased at the Texas Songwriters Symposium four years in a row, the WinterFolk Blues and Roots Festival in Toronto, the Kingsville Folk Music Festival and the Folk Music Ontario conference. Francine’s music and song-writing have not only taken her through Canada and the U.S but to the U.K., Switzerland and Italy. Now, To Be Continued takes Francine’s listeners on a journey. Courageously drawing from her own life, Honey’s latest songs run the gamut of emotion. Snowflakes on My Eyelashes channels the grief of loss; Can’t Break Through to You examines PTSD; and the moving Marilyn documents a harrowing health scare. “That’s a very tough subject and a very personal song,” she confesses. “The room goes quiet when I play it. 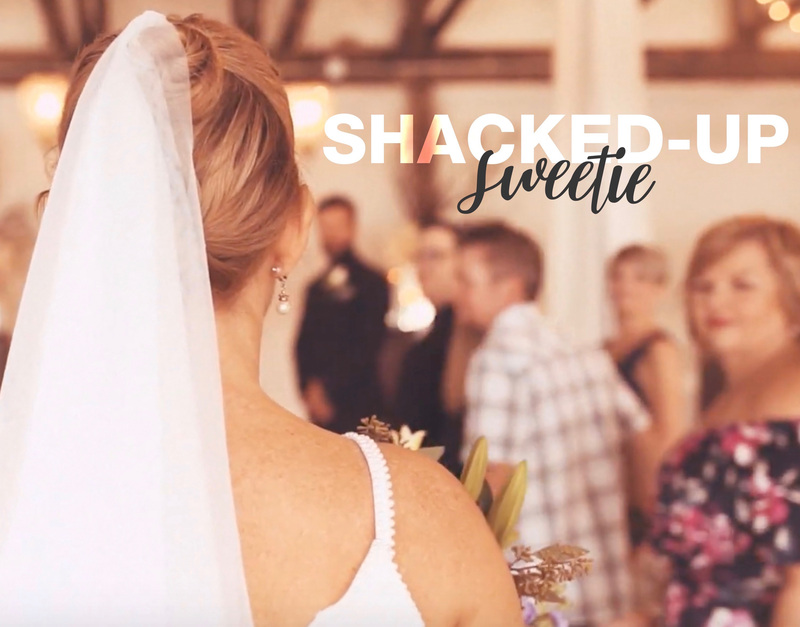 But I’ll see someone wipe a tear from their eye, and know that song has touched someone.” It’s not alone: Stay was a semi-finalist in the Canada Songwriting Contest and Mamas Take Bad Dreams Away made the top five in the Canada South Songwriting Contest. Francine’s music can be heard on CBC radio, Sirius XM and country stations across North America and she receives millions of views on her videos. She has appeared and been interviewed on CTV News, CFRU’s Folk Roots Radio and more. Provided us with a copy of the new single from Kelly’s Lot. We provide you all a chance to listen to this beautiful, sad song. Cause it’ll all be gone before you know that you’re here. “This is the kind of slow, thought-out acoustic music that is increasingly hard to come by, with the songwriters putting an equal emphasis on the the craft of lyricism and nuanced yet complex and intricate guitar solos. 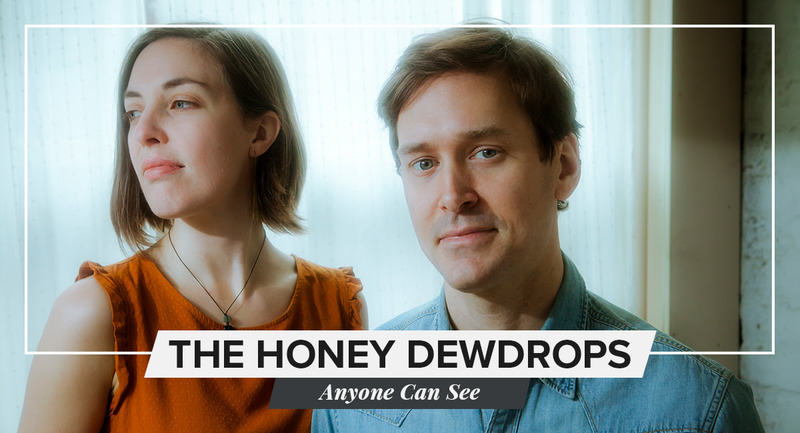 Though Kagey Parrish and Laura Wortman of The Honey Dewdrops have long ago traded the Appalachian mountain air for the Baltimore sea breeze, one thing is certain: the duo, who’s fifth independent release, Anyone Can See out on March 1st, 2019, has lost none of the creative energy so prevalent on their previous releases. Rather, the duo are growing rapidly as artists, enthusiastically exchanging perfection for the compelling ebbs that accompany an intimate, authentic kind of expression. The result is a record drenched in sonic roominess, each of the tracks stretching to fill the space, but with a warmth that allows the album to fit cozily into whichever personal living room, bedroom, bar, or studio it might find itself in. In this way, the intimacy oscillating throughout the record complements and overturns the melodic vastness: nobody will get lost in this expanse. 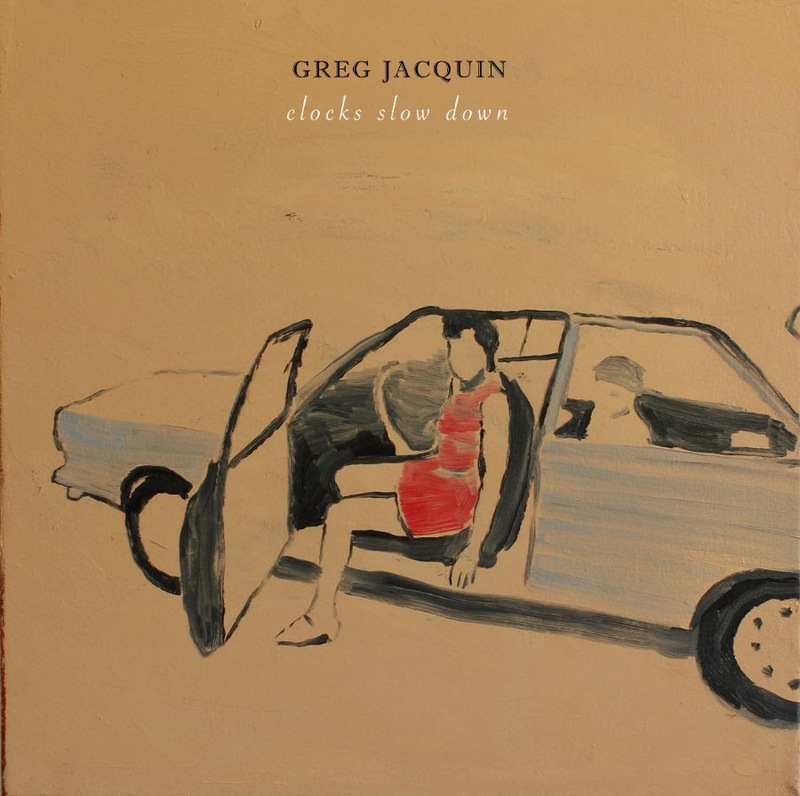 Today, New York-based, indie folk, singer songwriter Greg Jacquin shares his new albumClocks Slow Down, out now on all DSPs. Earbuddy exclusively streamed the record in advance, stating “Recorded at Woody’s House in Croton, New York, the album is a sometimes somber meditation on pain, suffering, and self-discovery. 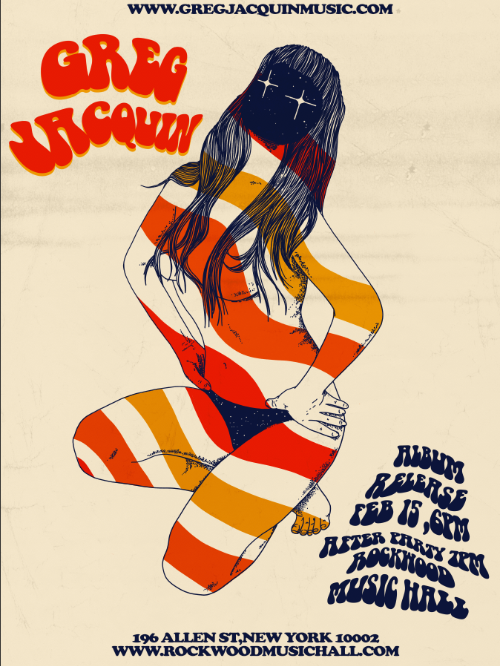 Add a little politics and humor, and you have yourself an album.” Jacquin has announced East Coast tour dates in support of the album, and will be celebrating the release tonight with a performance at NYC’s Rockwood Music Hall Stage 1 at 6pm. See below for all his upcoming dates. Clocks Slow Down is out now on all streaming platforms. Greg Jacquin and bandmates Paul Griffin (piano, keys, vocals), Rich Berta (guitar, vocals), Peter Wilson (drums) and Lalit Loomba (bass) recorded Clocks Slow Down, a beautiful collection of eleven original songs. The album is a sprawling statement of sadness and hopelessness, pain and suffering, rebuilding and self-discovery, with a dash of politics and humor, too. This time around, Jacquin enlisted another impressive crew of musicians for the album, including Andrew Bordeaux on violin and guitar, Jim Keyes and organ and electric piano and Sarah Browne on vocals. The album was recorded by Fred Gillen Jr. (Pete Seeger) at Woody’s House in Croton, NY, and mastered by Scott Hull (John Zorn, Snarky Puppy, Loudon Wainwright III, Uncle Tupelo, Edie Brickell, Ani DiFranco) at Masterdisk. 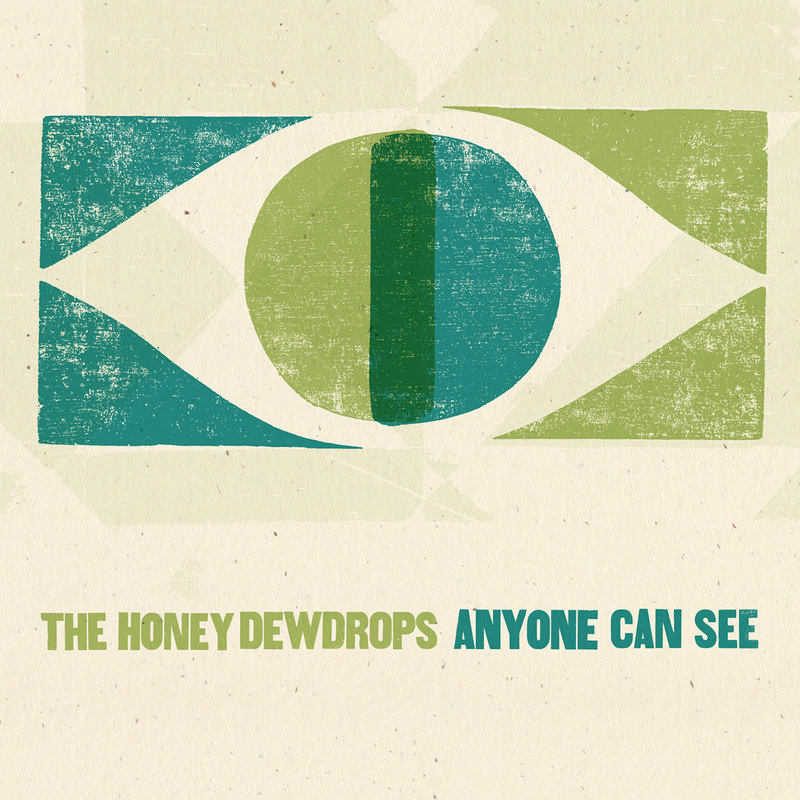 The album art is by Ian Felice (The Felice Brothers). All songs were written by Jacquin, eliciting collaboration with a variety of artists and bandmates. “Store Policy” and “Time Again” saw Lalit Loomba & Jacquin team up in their writing process, “Coffee” was written by Greg Jannacone and Jacquin, “Too Hungry For Dinner” and “Highways & Hotels” was written by Paul Griffin. New York-based, indie-folk, singer-songwriter Greg Jacquin has spent much of his life writing and playing music. From singing and playing guitar as a little kid through writing his songs with his best friend and cousin in the 80s up to the present moment, Jacquin has been contributing to the rich music scene in New York’s Hudson Valley. Drawing on his own life experiences, the natural world, and politics, Jacquin is still out there pouring his heart and soul into every song he releases. His EP Hudson River was released to rave reviews in February 2018. After playing the new songs all over New York and the Hudson Valley for the past year, Greg was eager to get back into the studio in the summer of 2018. Yes folks after much deliberation we have decided on our Album of the Month and what a treat it is, Beatles Blues Blast , 17 of the Liverpudlians great tunes Bluezed up by Gaetano and the boys. The Fab Four are unquestionably one of the most influential groups of modern times, with over 500 artists recording cover versions or full tribute albums of Beatles’ songs. The list of artists spans the gamut from Ella to Elvis, the Philharmonic to Phish, even The Muppets and Alvin & the Chipmunks have had a go at them. The Beatles themselves began as a cover band, recording songs by 50’s icons Chuck Berry, Little Richard and Carl Perkins and the influence of classic R&B and blues can be heard on all the group’s albums. Several notable R&B stars had hits with Beatles songs, such as Otis Redding, Aretha Franklin and Ray Charles, but only a few authentic blues acts have ventured into the territory of the lads from Liverpool. Cleveland Ohio is the home of the Rock & Roll Hall of Fame and birthplace of guitarist extraordinaire, Gaetano Letizia, leader of the Underworld Blues Rock Band, who was a teenager during the years of Beatlemania and the British invasion. The effect of those heady days has stayed in the forefront of his mind for decades and now, with a little help from his friends, Mike D’Elia on drums and bass man Lenny Gray, Gaetano presents “Beatles Blues Blast.” The third disc from the trio is a rowdy romp through 17 classics from the Beatles’ catalog, cleverly arranged and reframed as a funky blues jam session. Recorded live off the floor in a single day at Bad Racket Studio in downtown Cleveland, this lo-fi indie blues rock album takes this magical music back to its roughneck roots of dance clubs in a hard-working industrial town. In classic Beatles’ fashion the album begins at the end with ‘Come Together,’ which was the opening song of their final studio album “Abbey Road,” where the trio forgo the dramatic intro and jump headlong into the groove setting up the formula for the project. D’Elia turns McCartney’s first drum track into a jungle beat of swamp rock fury on ‘Do It In The road,’ and then we all yell “More Cowbell!” during the four on the floor funk ‘Drive My Car.’ 1960 Motown hit ‘Money (That’s What I Want)’ is injected with surf guitar as a tip of the hat to the American bands that also covered it. Harrison’s Rocker ‘Taxman’ is given a Texas Shuffle treatment, and his beloved ode to the six string, ‘While My Guitar Gently Weeps,’ shifts between a samba and power ballad. ‘She Came In Through The Bathroom Window,’ retains the funky groove of the Joe Cocker version, and they keep the psychedelic blues rocker, ‘I Want You (She’s So Heavy),’ true to its original metal prototype form. The Latin tinged ‘And I Love Her’ has a 70’s Santana vibe, and ‘Can’t Buy Me Love,’ is turned into a Chicago Blues. Letizia steps hard on the fuzz pedal for ‘You Can’t Do That,’ and plays ‘Yesterday,’ as a soft blues rhumba. The boys pick up the rooftop party right where the Beatles left off for a rocking ‘Get Back,’ then bring out the full drama for ‘With A Little Help From My Friends.’ The novelty song with a great riff, ‘Birthday,’ is tossed in for laughs before a sweet country blues reading of ‘Blackbird’ that features marvelous finger picking lead guitar and articulate counter point on the bass. The aptly chosen closer ‘A Day In The Life,’ also the final track of the 1967 album “Sgt. Pepper’s Lonely-Hearts Club Band,” is bumped up with touches of Soul and Rockin’ Fire for an epic climax. 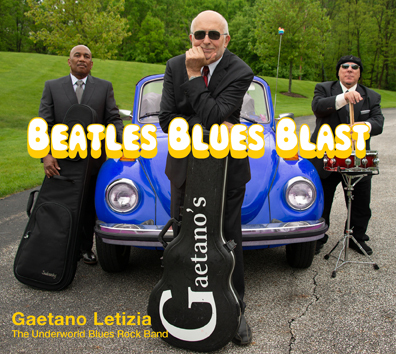 By tackling this iconic repertoire, Gaetano Letizia and The Underworld Blues Rock Band, have created a whimsical and yet sincere tribute with “Beatles Blues Blast,” that will find a respected place in the Pantheon of Beatlemania that remains strong some 50 years on. Gaetano, also known as Tom, was born in Cleveland in 1951. He began performing his own blues shows at the age of 16. One of his first stage appearances was with the James Gang, sitting in for Joe Walsh at his Alma Mater, Kent State in 1970. Since then, he’s performed all over the U.S. along with Europe and Asia. Early performances with June Core of Robert Jr. Lockwood’s band, gave Gaetano a strong blues foundation based on B.B. King, Albert King, Muddy Waters and all the great blues patriarchs. Producer of ten blues and jazz guitar CDs, Gaetano has received stellar reviews in Downbeat, Guitar Player and many national/international publications and his music has been played on radio stations in every state as well as most foreign countries. The Underworld Band is Gaetano’s blues trio formed in 2010 and now beginning to tour the U.S. with plans for European and Asian tours in the works. 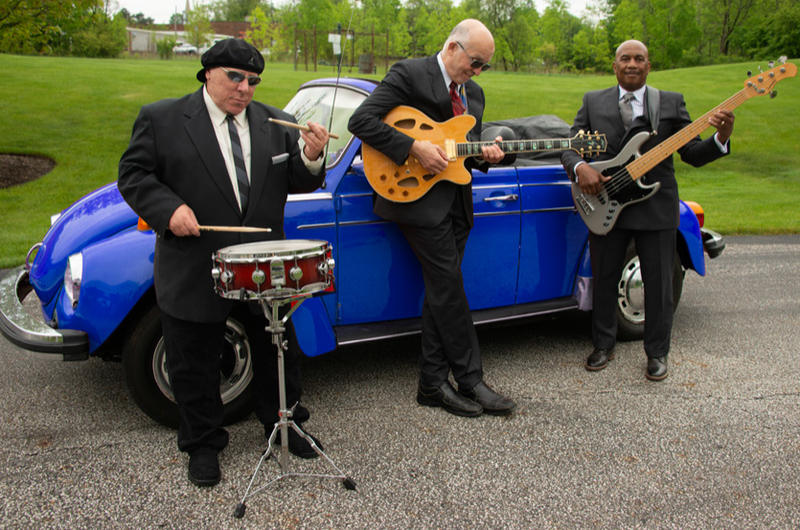 The band won the Cleveland Blues Society’s 2014 Memphis Challenge and did four great shows in Memphis. The Underworld Band plays creative blues shows that audiences love and will remember. The band has two excellent albums, “Voodoo Doll & Other Blues Lessons” (2014) and “Resurrection” (2016). Described as “a guitarist’s guitarist” and a “virtuoso” by music critics, Gaetano’s music stays true to the roots of blues while advancing the standard blues forms to delight the listener. “A new take on the blues” describes Gaetano’s treatment of modern blues problems in our lives now that we’re far from sharecropping in Mississippi. With blazing electric solos, red hot slide playing and nylon string guitar, listeners will be treated to a fun style of blues rock combined with funk and R&B that grooves and makes you move. The guitar playing is top shelf and the performances are high energy, audience oriented fun. Born in Canton, Ohio in 1953, Mike started playing drums professionally at the age of 8 and toured nationally with various groups in his teens. Mike is the “go to” drummer for almost all the Cleveland based groups not only because he is a dynamic vocalist, but because he is a great drummer whose powerful groove and solos drive audiences wild. Known affectionately as “Daddy Sweet Roll”, Mike is loved by his thousands of music fans and everyone who meets this great lifetime blues rock musician. A Cleveland native born in 1950, Lenny started playing drums at 10 years old and switched to bass to play in R&B bands in 1966. Nephew of Slide Hampton, Lenny’s family is loaded with professional musicians, family reunions are big jam sessions. 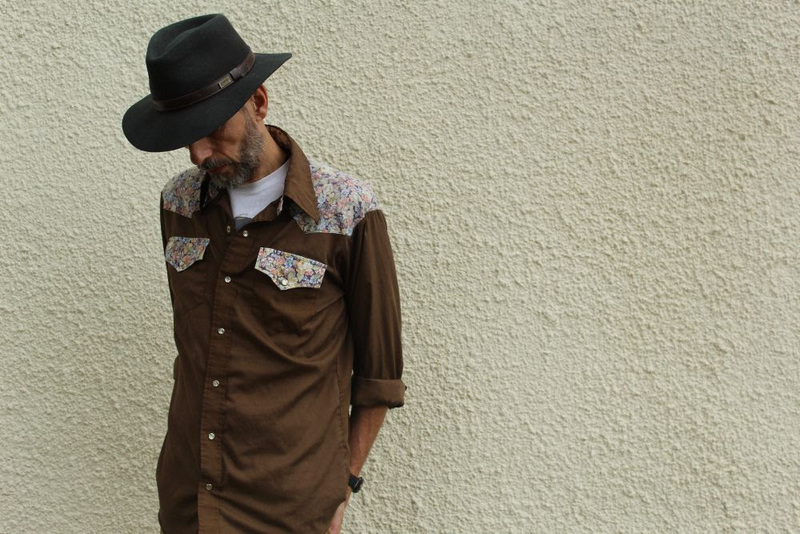 Lenny’s style is based in blues and jazz, heavy on the groove side. A Victor Wooten student and disciple, Lenny pops with the best and swings with all the rest. Pickathon returns to the woods outside Portland, Oregon from August 2-4, 2019, with an initial lineup to be released January 21. Pickathon has built a reputation over the last twenty years as the best festival experience, combing groundbreaking programming focused on discovery, sustainable ethics, and a lineup that pushes the boundaries of genre. This vision is clear in Pickathon’s initial lineup, which brings together key headliners like Nathaniel Rateliff & The Night Sweats (Rateliff’s first time playing Pickathon and he’ll be bringing two different bands), Khruangbin, Mandolin Orange, Tyler Childers, Lucius, Preservation Hall Jazz Band, Fruit Bats, and Mountain Man with a voraciously broad cast of other performers like well-loved Americana outsiders Caamp, Lambchop, and H.C. McEntire, doom metal band YOB, North African desert blues artist Mdou Moctar, new supergroup Bonny Light Horseman, Northwest indie royalty Damien Jurado, Laura Veirs, and Courtney Marie Andrews, returning favorite Julia Jacklin, psych soul outfit The Marías, Polaris prize winner Lido Pimienta, Congolese experimentalists Jupiter & Okwess, and word-of-mouth newer artists like Sudan Archives, Miya Folick, B Boys, The Beths, and Black Belt Eagle Scout, among many others. The initial lineup shows the kind of deep curation and wide-ranging musical interests that have made Pickathon a key tastemaker event in the American music scene. It’s a lineup based on discovery, not draw, a diverse lineup intended to represent the best contemporary snapshot of music across more than a dozen genres. With many artists requesting to return each year, Pickathon has become a kind of pilgrimage for artists looking to renew themselves at a well of creative inspiration. Walking onto the festival grounds at Pendarvis Farm in the small town of Happy Valley, OR, you can see what draws artists back year after year. Pickathon is a riot for the eyes, a festival that takes a holistic view to the music. Each stage is visually spectacular, from the woven branches that make a towering shell of the Woods stage to award-worthy architecture of the Treeline stage, using renewable resources in a different array each year. The Mt. Hood Stage, the mainstage of Pickathon, was ringed with living gardens in 2018, and the festival makes use of rustic, picturesque existing buildings like the late-night-raging Galaxy Barn, or the interview-focused Lucky Barn. Each artist’s sets are curated specifically to each stage and the timing of the festival meticulously planned, all to inspire the artists to new heights and historic performances. An army of over 600 videographers and audio specialists record Pickathon, pushing for a spread of nearly 200 videos that will be released between festivals. It’s a wildly ambitious project that involves so many people because each person has come to realize that Pickathon represents our best vision for how music and community come together. Laying back on the grass late at night, with hyperdrive spreads of neon light flashing overhead on the Starlight Stage, Pickathon soaks into your soul. It’s the kind of festival you come back to every year, a place to renew yourself. 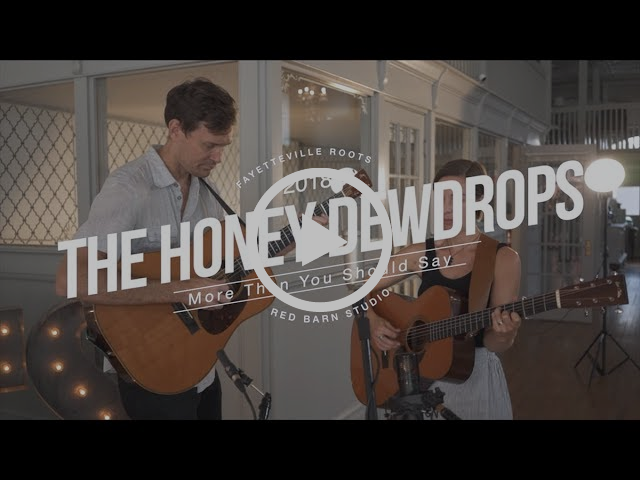 Americana duo The Honey Dewdrops – Laura Wortman and Kagey Parrish– have long felt the push-and-pull between their original roots in the Appalachian mountains and their current home in urban Baltimore. 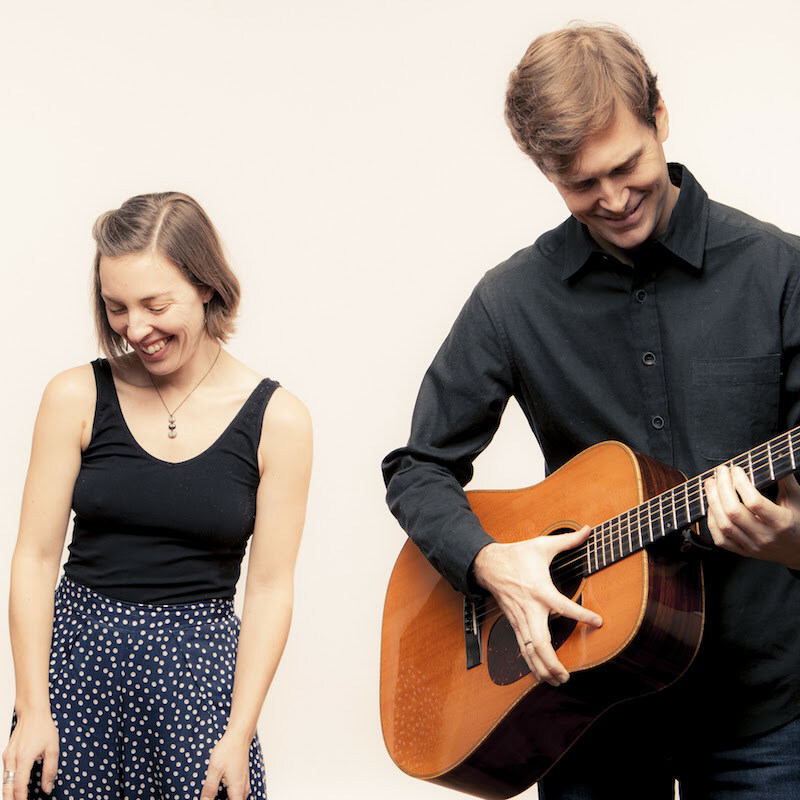 You’ll hear it in their harmony soaked songs and the mastery of their instruments’ acoustic tones, but also in their songwriting, which reflects the hard realities of today. With their fifth independent release, Anyone Can See out on March 1st, 2019, they have primed the creative energy so prevalent on their previous releases. Each song sparkles with focused intensity, and, with their new album, the duo show that they’re growing rapidly as artists, enthusiastically exchanging an impossible quest for perfection for the compelling ebbs and flows that accompany an intimate, authentic kind of expression. With Anyone Can See, Parrish and Wortman wanted to recreate the flexible, spontaneous atmosphere of their live performances. “We focused in on that live energy by sitting close to each other in the studio so we could hear everything in a natural way,” says the duo. “By recording each song in its entirety and keeping edits minimal we found the takes that had the magic often had some variation of voice and rhythm, like the songs were unfolding themselves.” Chasing this magic, Parrish and Wortman also found their sense of musical clarity evolving over the course of the album’s creation. “The process made us look at how we define what is “right” in our performances,” says Parrish and Wortman. “What sounded good to us was the unexpected, the improvisational moments that enhanced the arc of a song.” It helped too that producer Nick Sjostrom guided the duo towards a grounded result, helping to manifest a succinct album while also encouraging a freeing creative atmosphere. Though the creation of Anyone Can See contains elements of an artistic awakening in certain senses, Parrish and Wortman have also remained loyal to their roots, with the album evoking the duo’s characteristically powerful melodies and intricate chord progressions. 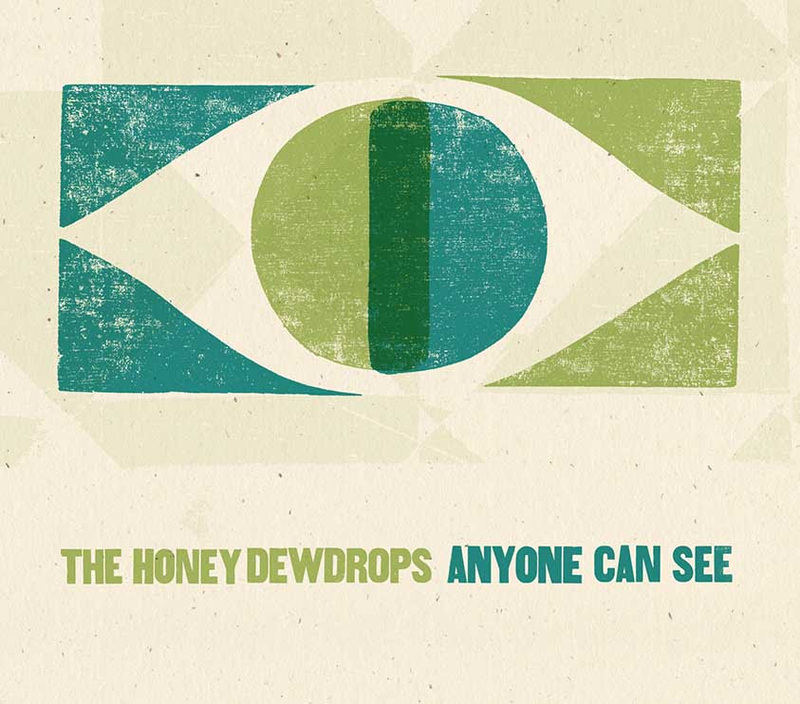 Ultimately, The Honey Dewdrops decided to keep their listeners at the forefront of their thoughts throughout the production of Anyone Can See. “We want people to feel like they are sitting in the room with us, close by,” said the duo. The result is a record drenched in sonic roominess, each of the tracks stretching to fill the space, but with a warmth that allows the album to fit comfortably anywhere. In this way, the intimacy oscillating throughout the record complements and overturns the melodic vastness: nobody will get lost in this expanse. 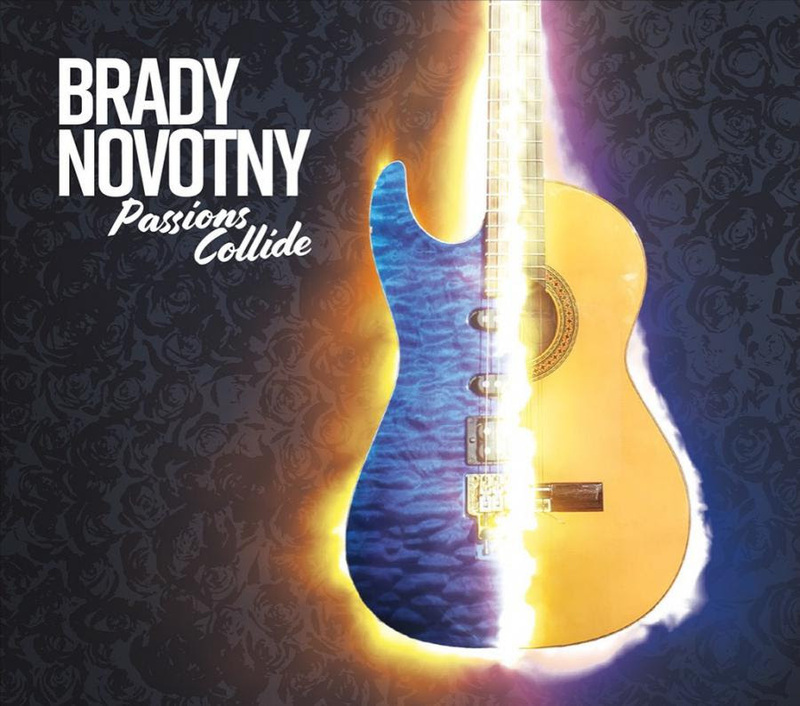 PITTSBURGH, PA, UNITED STATES, January 12, 2019 — Pittsburgh native Brady Novotny is no stranger to the stage, or the world of music performance. In fact, as a nationally-touring musician, the guitar virtuoso has been heard by thousands of people. This past Christmas season, Novotny performed to more than 20,000 attendees as a member of the Victory mega-church worship team. 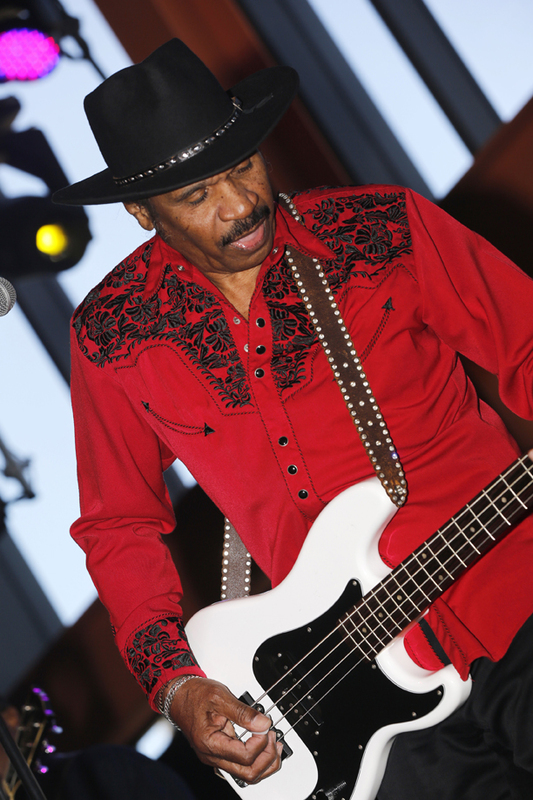 NOLA BLUE, INC. was established in 2014 with blues legend Benny Turner as its first client. Recognizing the need for Benny’s story to be told and music to be heard, work began across three major areas: worldwide distribution of his music, active marketing of him as a world-class performer and collection of photographs and interviews for his autobiography. ​Four years and three critically-acclaimed releases later, Benny has received the Jus’ Blues Foundation Little Milton Lifetime Bluesman Award and was inducted into the Chicago Blues Hall of Fame in October, 2017. In July, 2017, “Survivor-The Benny Turner Story” was published and is available in hardcover and eBook formats. 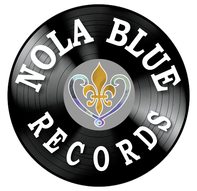 Nola Blue Records begin expanding its artist roster in 2018, as well as providing artist management consulting services and social media marketing services. 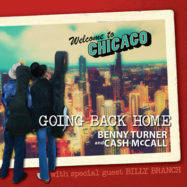 After careers spanning six decades, BMA nominee Benny Turner and Grammy-winning co-producer Cash McCall return to their roots in this inspired collection of Chicago treasures. 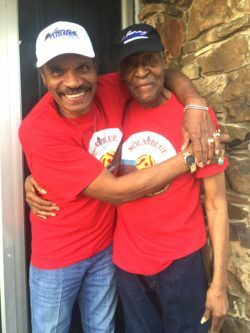 Blues legends Benny Turner and Cash McCall’s friendship began in Chicago over sixty years ago. The pair reunited to revisit their roots and the songs they once played nightly in South and West Side nightspots for their album “Going Back Home.” The joyous blues summit took place at studios in Memphis, New Orleans and Chicago with an array of the finest players and special guests including, pianist Joe Krown, drummer Rodd Bland and three-time Grammy nominee Billy Branch. The duo trade off on lead vocals with Cash handling guitar and Turner laying down the bass as he did for years in his big brother Freddie King’s band. 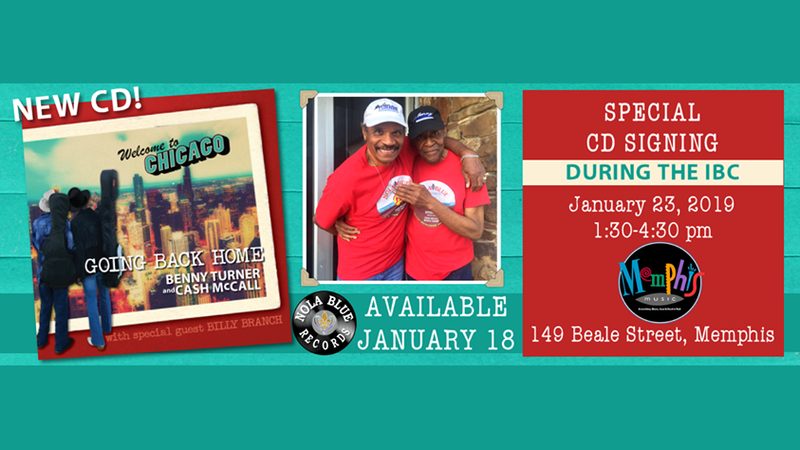 The ten songs each hold a special place for Cash and Turner and are a collection of Chicago era favorites and rare gems from the treasured songbook of the Blues Standards. The horn infused soul stomper ‘Got To Find A Way,’ opens the set with Turner’s daughters adding backing vocals, creating a Staples Singers vibe and making the track a true family affair. The straight forward reading of ‘Spoonful,’ pays tribute to both Howlin’ Wolf and Freddie King who played on the original recording for Chess in 1960. Turner shows off his charms on the playful shuffle ‘Poison Ivy,’ stepping into the role of Don Juan with flare on another deep cut from the Chess records catalog. McCall spells out the root of all evil on the blues sermon ‘Money;’ the album’s only original tune is a statement of real truth. No Chicago blues party would be complete without the Elmore James bar room anthem ‘Shake Your Money Maker,’ delivered here with a jumping groove, hot horns and greasy slide guitar. Billy Branch adds his renowned blues harp to the emotional cover of the Tampa Red staple ‘It Hurts Me Too,’ with the old friends celebrating their brotherly love and vowing to stick together through life’s trials and tribulations. The oft record song is given even greater weight after it was revealed that McCall had been battling lung cancer during these sessions. The history of jazz and blues is filled with reinventions and spinoffs of familiar tunes, e.g. G.L. Crockett’s 1965 release of ‘It’s A Man Down There,’ was an adapted cover of Elmore James’ 1964 release, ‘One Way Out.’ Turner and McCall jam out on a rollicking uptempo two beat blast through the song, featuring fantastic barrelhouse piano and blues harp from Johnny Sansone. McCall adds his own twists and turns to the bawdy old-time blues ‘The Dirty Dozens,’ giving it a Fats Waller spin. Next to Muddy Waters, Willie Dixon is recognized as the most influential person in shaping the post–WWII sound of the Chicago blues. Turner and McCall take on one of his most famous songs, ‘Built For Comfort,’ as a duet commanding the bump and grind blues show stopper with bravado. Billy Branch is on hand again for the album’s finale, the revival of Sonny Boy Williams ‘Bring It On Home,’ as a joyous celebration of Chicago and the reunion of two of her finest sons. Born in Gilmer, Texas in 1939, Benny Turner and his older brother, Freddie King, learned to play guitar from their mother, Ella Mae (King) Turner. Although best known for his role as bassist for the Freddie King band, he later played for Mighty Joe Young and then for Blues Queen of New Orleans Marva Wright. Turner’s earliest musical endeavors include work as a recording artist for the M-Pac! and One-Derful! labels. He also appears on gospel recordings with The Kindly Shepherds and Otis Clay. He toured with Dee Clark and the Original Soul Stirrers. Turner’s award-winning autobiography, “Survivor-The Benny Turner Story,” was published in 2017. A native of New Madrid, Missouri, Morris Dollison, Jr. was born in 1941 and is better known as Cash McCall, a name that has been renowned ever since his 1966 recording “When You Wake Up” became a national R&B hit. McCall was a Nashboro Records recording artist while a member of the Gospel Songbirds. He went on to record as a solo R&B artist for the Thomas, Checker, and Paula labels, and worked at One-derful! and Chess Records as a session musician and songwriter. Performing with Minnie Riperton, Etta James, Bo Diddley, and many more while living in Los Angeles, Cash was also a member of blues legend Willie Dixon’s band, the All-Stars, and co-produced his Grammy Award-winning “Hidden Charms” album. JANUARY 11, 2019 Tomislav Goluban RELEASES “CHICAGO RAMBLER” AND BECOMES TME.fm RADIO SPOTLIGHT ARTIST. 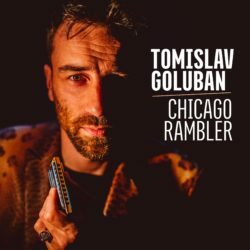 CHICAGO RAMBLER the new album from Tomislav Goluban is finally to be released on Friday. We have been lucky enough to have had a copy of the album for a while and after listening to it carefully our highly paid reviewer came up with a cracker of a review – read below. We got our moneys worth. So we decided to make Tomislav our Spotlight Artist for the next 30 days so our listeners can agree with our review.